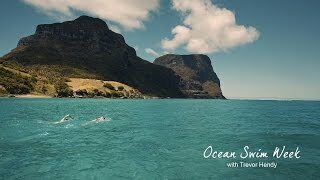 If you're sick of the black line in the pool or the opaque water at suburban beaches, then please join one of the Lord Howe Island Ocean Swim Weeks. Each day, you'll swim 1.5 to two kilometres around the Lord Howe Island coastline and experience the beauty of a World Heritage marine environment. Some days you will swim over vibrant coral on the outer reef of the lagoon, while other days you will swim under 200 vertical metre cliffs or along some of the most perfect beaches in the world. At your side will be the former World and Australian Ironman Champion, Trevor Hendy. Trevor was made a Member of the Order of Australia in 1996 for his services to surf lifesaving, and was inducted into the Sport Australia Hall of Fame in 2000. Please see the Pinetrees website for more details including specific Ocean Swim Week dates for 2019.